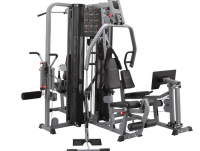 The BodyCraft X4 Strength Training System has Four Weight Stacks. 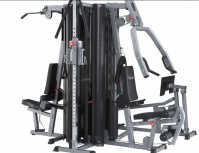 On the BodyCraft X4 4 Station Home Gym all stations work independent of the 3 other stations allowing four users to workout at the same time. Each station has it's own 200lb weight stack so this gym is ideal for Hotels, Condominiums, Fire Station, or for your whole Family!